He rose from the world of womanising, drinking beer to being a renowned evangelist. His word pierces to the bone. He dumped his professional soccer playing career with division team Jumbo Stars for the Holy Book. 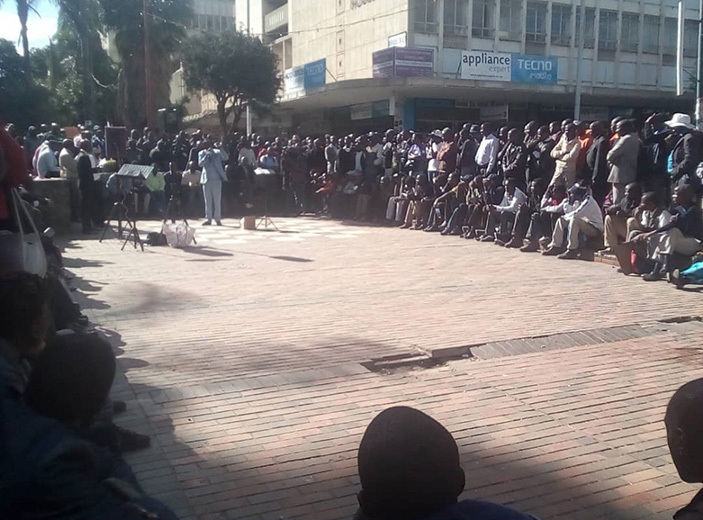 Now the 42-year-old Street preacher Evangelist Trymore Muparinga (EM) has risen to prominence and H-Metro’s LATWELL NYANGU (LN), caught up with him to trace his journey to date. LN: Are you a prophet, evangelist or pastor? EM: I am just an evangelist. LN: But where did you come from? EM: Ndakabva kunyika handina kubva background yechurch, I was a drunkard and I got sick, before God gave me grace and I would have dreams until I matured to be a bible reader that’s when I got some revelations. I had a dream concerning preaching around end of 2006, I was very sick staying in Domboshava where I had gone to see my parents. The dream had an audible voice, go back to the city, I will heal you. Ndikaitisana nharo nevanhu kumusha vachiti gara kumusha urapwe, but I went back to town where I started taking some medication for TB from Nazareth. During those moments I had another dream again, which was saying this is the time to start, just preach at the rank. Before you go to Nazareth just preach and when come back from Nazareth just preach again. LN: How were you received? EM: Vanhu vaitoti ndinorwara because ndaitarisika semunhu anorwara so people thought it was just sickness when I started preaching at Kuwadzana 4 rank in 2007. Transport was a problem during that time and commuters would be packed at the rank and that was my platform, I would preach vanhu vasati vakwira makombi. I later moved on to preach in trains travelling to locations. I took almost a year preaching in trains DZ to town and one day I passed through First Street after preaching in a train during lunch hour and I saw one Pastor Majasi from ZAOGA who was preaching in 2007. I then negotiated with them to preach at the place and he accepted but some denied me the chance because my dressing was bad that time, some vachiti are you a pastor unozotimakisa, wakaenda kuchikoro chipi? LN: Did you actually go to any bible school? EM: I didn’t go to any bible school, I don’t have any background related to that but they agreed and advised me to do it alone before I started kurova from 2 to 3. By God’s grace people started coming in more numbers than other preachers were getting. After noticing that they then decided to make me part of the team in 2008 to 2009 we were preaching as a team at lunch hour before some left and I was left alone from 2010 to date. I am the last man standing in that group and all these who are preaching now came through my hands including Apostle Chiwenga. He used to listen to me for almost 4 years, he would come at lunch hour during the days he was working at RBZ. He was learning from me, source of his inspiration to preach in the street is me because he was listening to me for years. LN: Is it safe to say you are a true testimony? EM: I came straight from the sinning world, pandairwara ndaitobva kumabhawa, ndarwara neTB ndabva kumabhawa and came straight to preaching zvisina church yakuconnecter. At first I was doubting myself because I was saying how can God use a guy who is just ordinary asina church background, bible school knowledge. EM: Yes it was hidden in me, I discovered it later hangu but Mwari vanga vakaidyara mandiri. LN: Had you received Jesus as your personal saviour before? EM: We had done that before zvekutevera vabereki tichienda kuZAOGA but wakura wobackslider. LN: When you preach, do you refer to your past for examples? EM: Most of my first sermons were so touching because ndaipa maexamples and history of my past life. I have a sermon titled , power of grace, where I was telling people that I used to go drink, spending time in bars, ndaiita zvese, kuzvifewe taiienda, that was so touching because munhu ari kunyika anotoziva kuti kunobviwa. LN: But don’t you feel embarrassed to state such backgrounds? EM: Some pastors hide but to me it’s impossible to hide because most of my friends they know me and today some still don’t believe me. LN: As you were growing up, did you think you will be like this? EM: No because I used to play soccer at Jumbo Giants based at Mazowe Mine. I grew up gifted in soccer, I was so much into soccer. EM: I had to quit when I came to Harare, pressure I had to leave it. But soccer is in me, I played in division one for a while. Most of my guys they have played in the premier league coming from Jumbo Giants, I played with the likes of Mavhuto Chapani, Ignatius Kapitapita who is now a coach, Jeremiah Makota. LN: So from playing soccer to an evangelist? EM: Yes pese patinotamba soccer as Jumbo Giants legends, normally we meet as legends on December 22 and I am the pastor there, I pray for the team. After soccer, tafara I pray for them and they respect me as a pastor. LN: How is it like preaching to the world you used to be part of before? EM: It’s quite interesting that kana usina the grace of God unogona kunyara kufunga kuti ukuzvifumura kuti ndaimbohura ini ndaane vanhu vanondirespecter. Imagine giving a testimony that ndaihura my wife standing there, my 20 year old daughter also there, achinzwa baba vake vachiti ndairara kumahure. It takes the grace of God and the boldness, naturally these things are covered because imagine we do Facebook live every day, atezvara, vabereki vako vachinzwa izvozvo and the church members. Somebody came to me and warned me to stop sharing such backgrounds. I said no, to be an evangelist you need to win soul from those angles, kuti kunobviwa, God is using me now as an evangelist but ndaitohura, but God he is using me to win souls. My testimony is a door opening to those who are still doing those things that it’s possible to dump and follow Jesus. LN: But is it actually easy to tell the world? EM: It’s not because you need God to speak through you, naturally as a man unonzwa resistance in your mind kuti it’s not good, like zvekuti I was a sick person, I had TB, but now people respect me. They used to be embarrassed by my negative testimony but to me I find that when I am preaching, my background, it should be an inspiration to someone. LN: So what has been your prayer? EM: My prayer was , Lord I want to minister in a different way because most of the guys were preaching in English and I needed the ordinary people to have the correct understanding of the word of God and I was inspired by TD Jakes, Joyce Meyer because I learnt a lot from them. Ndikati Mwari make me a TD Jakes of Zimbabwe and I will preach to a level that an ordinary man will understand the word. From there I would be shown short stories in my dream and get a scripture to support the dream. So I would get a story and scripture until I matured to read the bible. So when I started reading the bible that’s when I got the revelation. LN: But tell us about the gift of your practical examples? EM: I grew up as someone who is talkative, nyambo, etc so I was more like a comedian and those jokes are in me, when I minister its quicker to cite example to congregants, vachiseka and learning as well. People just enjoy the word and as I stand to minister examples just come. LN: Is your family background church related? EM: Yes my parents were going to ZAOGA and we all grew up going to the same church but ndazokura that’s when I started drinking. I am blessed with three children, two daughters and a boy. LN: So following the dream you quit all the negative life? EM: Yes, zvese and went straight into preaching. LN: After starting to preach in the street did you start a church? EM: I have got a church now because I spent 8 years in the street but God gave me a word to start a ministry, Embassy of Grace. What drove me to start the church was that when I was preaching as an evangelist, I was pushing people to other Pentecostal churches I understand. But some vaiti vakaenda ikoko manje, the word they hear at the street and in church was different so it remained a burden to me. God revealed to me that I would do it as a ministry and Interdenominational and we do it in the afternoon kuitira vaye vane machurch avo vanoda kudzidzawo kwandiri vawane mukana. LN: Have you made any efforts to build a church elsewhere? EM: We rent a building in town in Harare Street and we have Sunday Services. LN: And what about the war over space at First Street, how have you managed that? EM: They all came through my hands and I would allocate them time slots, taitogara pasi toti inini ndoita lunch hour 1 to 2 then mumwe follows 2 to 3, vamwe 4 to 5 zvingodaro. LN: Many people seem to be running to Prophets, do they also come to evangelist, do you provide help? EM: I teach people what to do, I don’t do anything to them. LN: So your testimonies are basically teachings? EM: Yes they are teaching and that’s what drove me for church, in church you need to teach people in street you need to evangelise so there is a difference between teaching and preaching. Teaching ndeyemunhu wawakapreachira akagamuchira Jesu akuda kudzidza but in street you preach Jesus munhu wouya kunaMwari then wozomuticha. Some don’t have a gift of evangelism, they mess up donzvo restreet, and they want to teach the doctrine of their churches in the streets. Because haungauye pastreet woticha about tithes munhu asati agamuchira Jesu asingazive kuti kunamata kwacho kuita sei. LN: In a world of desperation like this what is the proper message? EM: The danger we have in our society, people are desperate because of situations they have, they are not desperate for God thus too much manipulation in churches especially in terms of money. There is competition amongst pastors, what car do you drive, where do you stay saka some they end up stealing money from congregants in the name of preaching, quoting scriptures. People fall victims because they don’t read the word and in my teaching I encourage people to learn, have the word and apply the word more than kubatwa musoro, ndoda kuti vabatwe mukati memusoro, ngavave neknowledge. LN: There was a time Prophet Uebert Angel visited you in the street, was that in good spirit? EM: A lot of people thought I would change the type of preaching, he helps, mentors me in other areas of the ministry. He is a prophet and I am not a prophet. What drove that man to come to me was that, he came across my dvd and he accepted my gift in revelation. We have a relationship until now. LN: It’s understood he bought you some clothes? EM: Yes he bought me three suits, from there till now we talk. LN: Let’s talk about spiritual fathers, do you believe in that? EM: Like Prophet Angel, to me is a mentor, term yekuti spiritual father it depends kuti unoinzwisisa sei because spiritual father, mentor etc are same names. Someone can say I don’t want spiritual father but I want someone who mentors you, father simply means someone who is above you in terms of knowledge even mukadzi can be spiritual father to somebody, zvakafanana tine n’anga dzechikadzi but achinzi asekuru, it’s a spirit on her, so in spiritual things, a woman can be a father figure as long they are being mentored. LN: Tell us about the gospel of prosperity in a world we are living in? 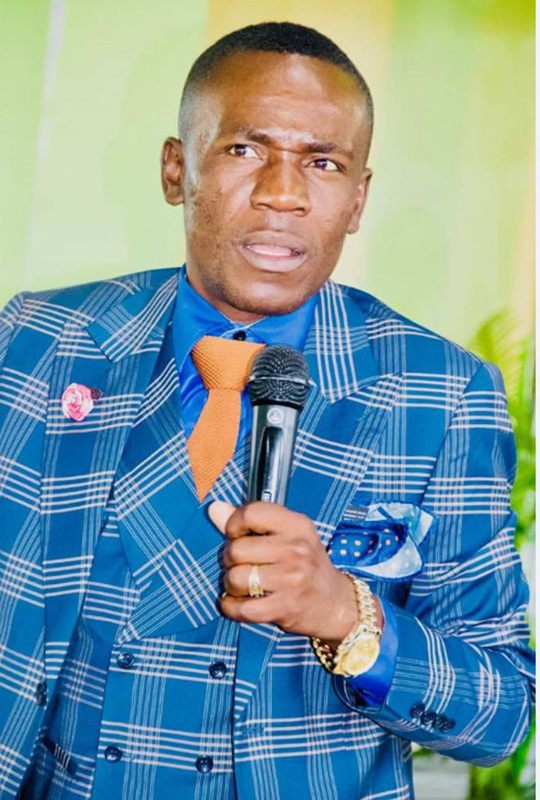 EM: The challenge we have, is that poverty was not handled well by preachers, a lot of people think vakaporofitwa vanobuda munhamo and they run to prophets, pay money etc but the main key is to apply the principles of the word of God. LN: What is the most important thing in our time? EM: To encourage people kuti vatsvake Mwari, read the bible more than telling people about their lives. So people are looking for quick solutions, but the solution is the relationship between a human being and God. People want to be motivated by prophets, poverty has corrupted people a lot. LN: What major problems have you seen affecting people? EM: Challenge hombe yaunzwa nesu isusu vashumiri, we now have competition to have more members, so we are no longer winning souls, we are winning people. By winning people, we are corrupting people’s mind to come to my church not to teach them to have God. To win people hazvidi Mwari zvoda intelligence, a lot of churches have won people not souls, kutaura zvinoda munhu anouya kuchurch kwako. We now have supporters not believers, saka uchiona vanhu vachinetsana kuti matuka prophet wedu. Believers seek the mind of God but supporters fight. There is need for soul winning, I should be evangelising in all these mega churches because there are supporters not believers. LN: As an evangelist, don’t you also worry about numbers? EM: I am worried about numbers that should be born again not vanofarira ini, because I also realised that I have supporters as well who don’t believe in God, they love me, ndikamira paye vanoungana, vachiti dzogona kutaura. LN: Jesus faced great temptations, as an evangelist, what have you come across? EM: Temptations are there, the main one, when you become popular, women just come whether you have money or not. In my ministry maybe for the last two years ndopandisina kufamba nemudzimai wangu but pese apa taifamba tiri two kukanaya ndiye aibata umbrella whilst I preached. The discs we produced, she is the one who would sell them. We came as a family to the street and go back home as a family. Whilst money also was a challenge, because sometimes you will be preaching kuvanhu vasiri employed, because as the ministry you would want to pay for parking, fuel etc. I have seen the hand of God because I never demanded money from anyone. Winning souls you must preach Christ, all my videos uploaded on youtube have attracted large viewers. The wedding I did last year was sponsored by someone from UK, a certain lady, she even flew to Zimbabwe to attend the wedding. LN: Today’s generation seems crazy, what can you say? EM: I always blame it to the pulpit, as preachers we have moved to a level yekuti we preach what they want and in our time now we want to become celebrities. We are not putting real challenge to the people, kana tichiita zvatoita toita tese, corruption toita tese, the difference comes when I am on pulpit. So they see everything as funnies, if we act as real models, they will repent but we are part of the society to an extend we do everything with them. Ukanzwa kuti munhu avhararwa mari, imwe anenge avharwa naprophet saka it’s hard for people to understand, our generation has been affected by us preachers. LN: Have you tried to preach in bars or night clubs? EM: Public places that I preach in are ranks, bus terminus or buses and kombis. LN: Would you want to comment on fake prophets? EM: We have got a fake prophet, but the fact of having fake prophets it simply means we have real prophets, so it becomes tricky to tell who is the fake now. The fruits we are getting from the prophets are from the media but if you get close to them you will find out what they do against what they should be doing. The media is used in good way chete, otherwise when they do bad things, media is not invited. What makes someone a fake prophet are not fake prophecies but it’s the wrong spirit he is using to prophecy because someone can do it right but with a wrong spirit. I used to go to n’anga but taitopihwa zvinhu zvinoshanda and zvichitoita. But one has to be spiritually mature. 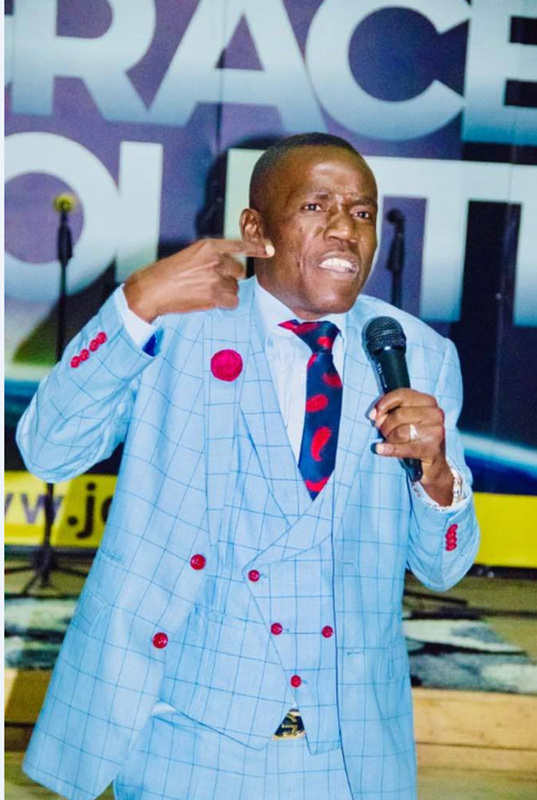 People who have called themselves prophets are too many and someone told me that mukaramba muchizviita evangelist hamuwane vanhu because many want prophets. Zvinoitisa mari in our time its prophecy, preaching you don’t make money, if preaching would make money, I think I should be the richest because I preached when Magaya was starting at Raylton Sports Club . I saw Magaya starting, he watched my cds and he invited me to preach, looking for partners, it was partner’s service. If I was a prophet, I could be the richest but they just watch and leave it there. The love of money has driven people to call themselves prophets. If you call yourself a pastor, I think you are safe. LN: Zimbabweans are in economic despair, what special message can you deliver? EM: Hazvinetse Mwari kuunza a turn around iri positive to the nation in Kings 2, Elisha prophesied that by this time tomorrow and it happened. But our challenge is that we fight each other, the bible says, where there is unity God commands a blessing. The blessing for the nation demands unity. We need to set a good ground to unite and forgive each other. We don’t think as Zimbabweans but as a divided nation. 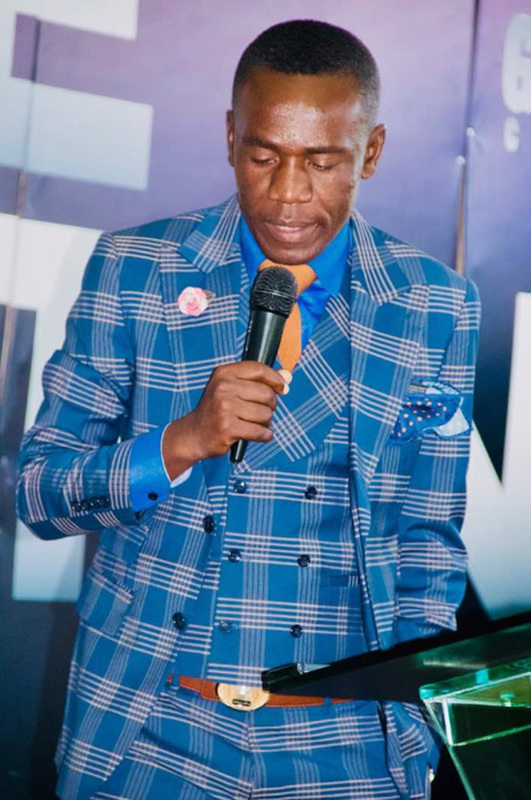 Blessing on Zimbabwe is hanging, the church is not united, a pastor is preaching against a pastor, we are not going anywhere, if I mature as a man of God, and I should not attack another man of God. If God wants to heal this country, he first looks at the church. It must start in the church. We are busy fighting each other, munhu anotoita sermon kuparidza kuti church yanhingi hainamate, that’s waste of time. If we are united as church, the world will listen to us. 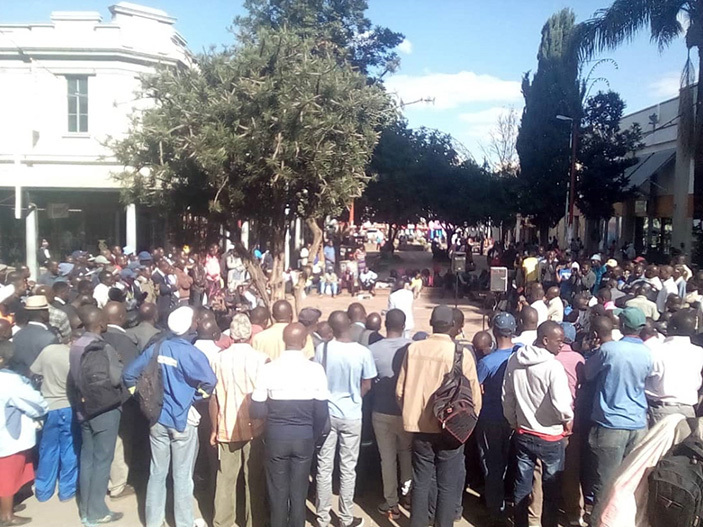 LN: Is Zimbabwe truly a prayerful nation? EM: That’s what we think, kuti Mwari ndopfungwa yavo here handizive, yet topinda church but hatinamate. Kune vanhu vanopinda church vasinganamate, tine vanhu vanopinda church vakawanda. That’s the world I believe, no condemnation preach salvation munhu womaker choice, munhu haatukwe ari kuhura because haasati asangana nechiedza, munhu asina kudzidza haanzi dofo haana kupihwa mukana.